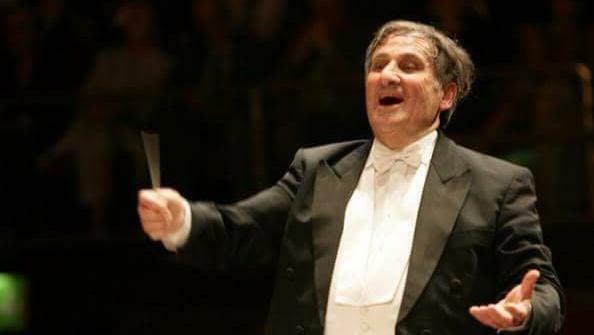 Well known conductor/composer Mro Joseph Vella passed away suddenly on Sunday evening. A stalwart of the local music scene, he was 76. "Music was his life and passion, but he also had an immense heart of gold, and the energy of a teenager," his son Nikki said as he announced the news on Facebook. Mro Vella was an associate professor of music at the University of Malta. Recognised for the diversity of his musical styles, his works have been widely performed in most European countries, the USA and Japan. In September 2001 he conducted the Prometheus Symphony Orchestra of New York. He also worked with the Sofia Philharmonic Orchestra, Orquestra Nacional do Porto, Orchestra “Goffredo Petrassi” di Roma, “Gli Armonici” Palermo and the Yamaha Foundation Symphony Orchestra. In Malta he worked for many years with the Malta Choral Society and was the musical director of the Astra Opera Theatre in Gozo. He was also the first resident conductor of the National Orchestra of Malta and the artistic director of the Victoria International Arts Festival, and served as director of the Count Roger band in Rabat for 40 years. The PL and the PN have expressed their condolences and paid tribute to Mro Vella. Gozo Minister Justyne Caruana described him as a "musical icon" who would go down in history as one of Malta's greatest contemporary composers.